SOLD! FOR SALE! 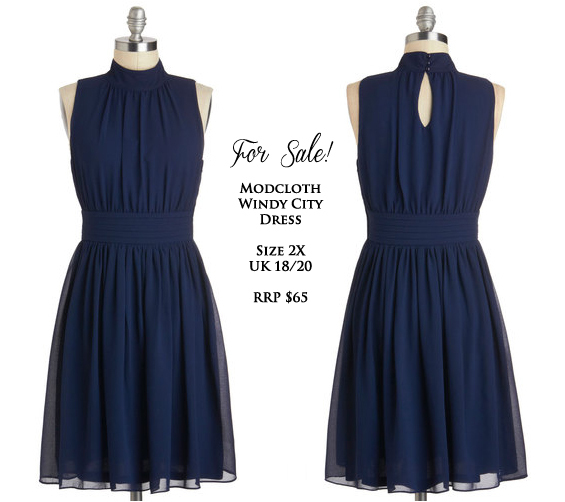 Modcloth Windy City Dress in Classic Navy - Size 2X - UK 18/20 - Sugar, Darling? Hi guys! So I'm selling this gorgeous Modcloth dress which I bought a few months ago. It's brand new with tags and in it's packaging and obviously has never been work. Unfortunately I didn't read the comments on the dress when I ordered it which would have advised to order a size up as the waist runs a little small so sadly this beauty didn't fit me as I'm a 22. It's such a gorgeous dress I'd love it to go to a good home! 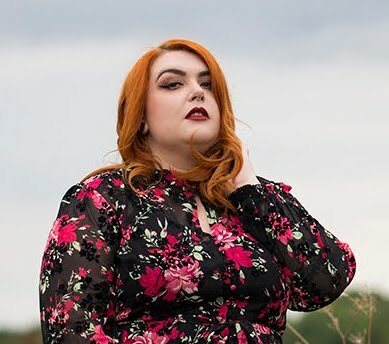 It is still available to buy from Modcloth here but is sold out in the plus sizes. If you click the link there is a photo of someone wearing it and also a video with one of the stylists wearing it too so you can see how lovely it is. Just pop me and email at n.whittington@gmail.com if you're interested. I'd like to get £25 for it ideally but am open to offers and will ship internationally, just tell me where you are and I'll give you a price! This dress is now SOLD thanks everyone!